Simply pretty and feminine! 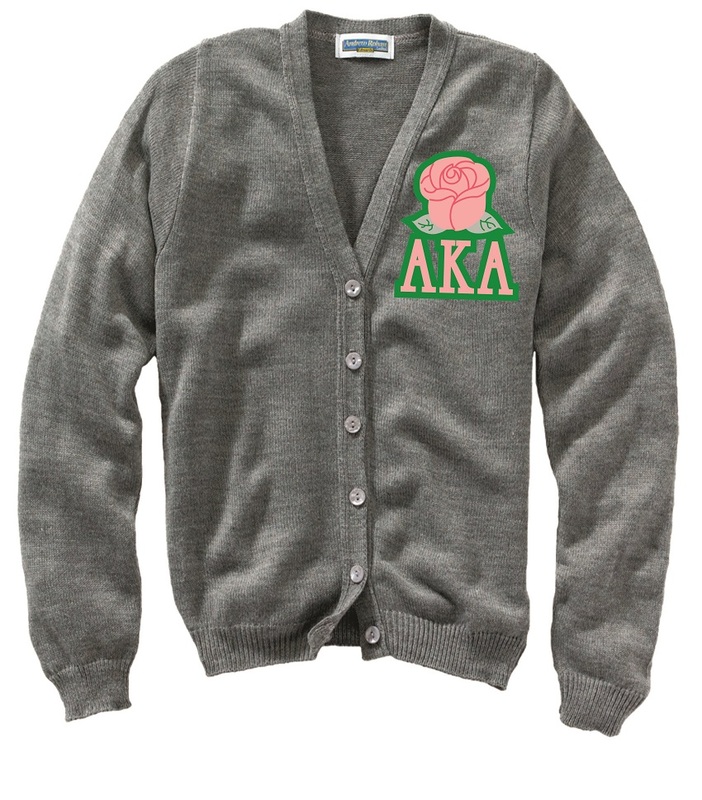 These soft little acrylic cardis display a solitary embroidered tea rose and your sorority letters. or...choose the ivy with pearls design. Either way, you'll be adored in it! These cardigans are offered in ladies' sizes. 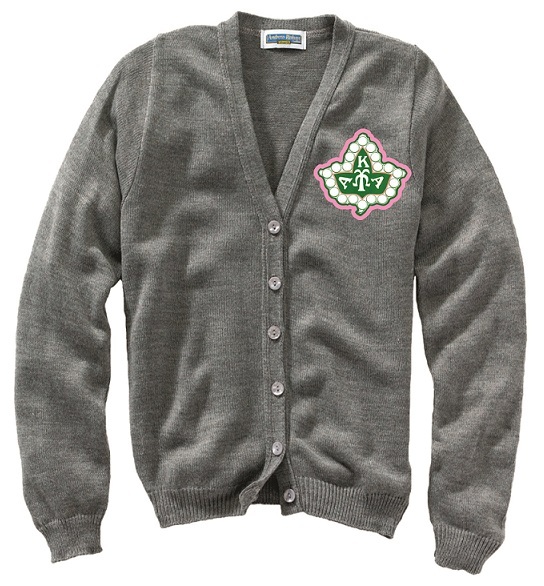 But, because these cardigans are tapered at the waist, they fit a tad smaller. So, we also offer them in men's sizing for a fuller fit.